GIB has acquired a 24.95% stake in Rhyl Flats Wind Farm Limited (Rhyl Flats). The new organisation has made its first direct equity investment in offshore wind through acquiring a 24.95% stake in Rhyl Flats Wind Farm. The GIB's investment in Rhyl Flats - owned by RWE AG (RWE) - is a reported £57.5 million. The transaction represents a significant step for GIB in supporting one of its core sectors, offshore wind. 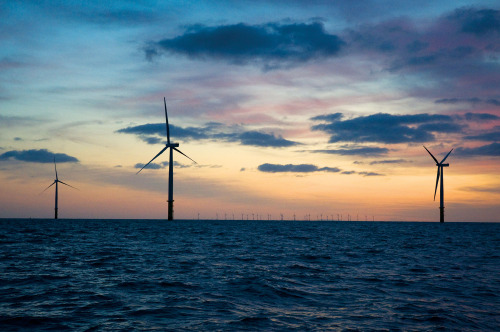 Rhyl Flats wind farm is located eight kilometers off the north Wales coast in average water depth of eight metres. It has been fully operational since March 2010 and consists of 25 Siemens 3.6MW turbines with a total capacity of 90MW. GIB acquires its stake alongside Greencoat UK Wind PLC which also acquires a 24.95% interest from RWE, following its successful flotation on the London Stock Exchange, the first company of its kind to be fully invested soley in operating UK wind farms. By selling a minority stake in Rhyl Flats, RWE will raise new capital which it plans to invest in other renewable energy projects in the UK. Commenting on the acquisition, Shaun Kinsgbury CEO of the UK Green Investment Bank, said, “The UK Green Investment Bank is delighted to announce this important investment in the UK offshore wind sector, which is a priority sector for us.